Two libraries spanning over an area of 1984 sqm. 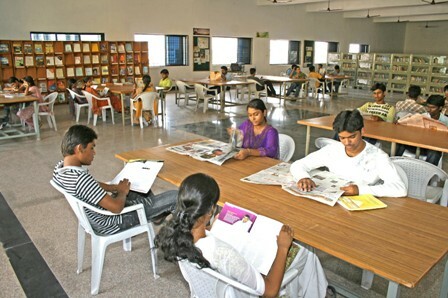 & 6000 sft.Students are provided with book banks facility. It has INDEST membership. Library system is supported by automated software Libris Software package 2.0 Version & Koha Open source Software . It has the collection of 64,407 volumes of books and 16,641 titles as on 18th April ,2019. It has subscribed to more than 4000 online journals through DELENET: INFOTRAC Engineering, Science and Technology Collection (IESTC) and Management Collection and it is subscribing more than 172 National and International Journals and Magazines in print. 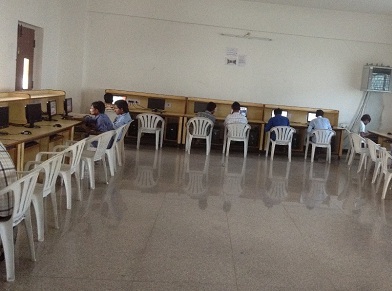 Through SONET, the digital library is facilitated in the main library. It has 30 latest computer systems. The digital library has an access capability of 4000 e-journals of nationals and international repute through INDEST, IEL on-line, ASME etc.